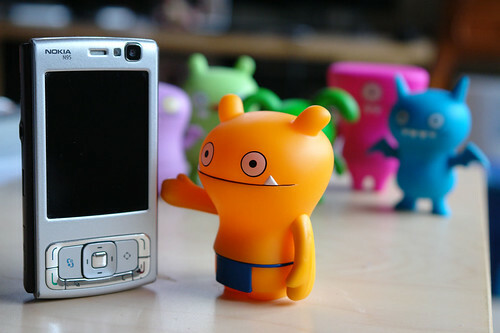 Uglyworld #7 - Wage Asks For My Old Phone, originally uploaded by www.bazpics.com. Wage has been on my case now for a while about getting his hands on my old mobile phone (Nokia N70), I made a deal with him that he has to keep the kitchen spotless for the next 6 months and it's all his. He shook on it and proceeded to show off his new phone to the rest of the guys - he is quite a show off to the rest of them, which sometimes ends up in some harsh words being thrown back and forth, but thankfully after posing for this photo he let the rest of the guys have a look at it and even promised to let them use it as long as they don't make too many international phone calls on it.